The living room has sofas, WiFi Internet, DVD player and ornamental fire place. If an additional bed is required there is 1 folding bed. 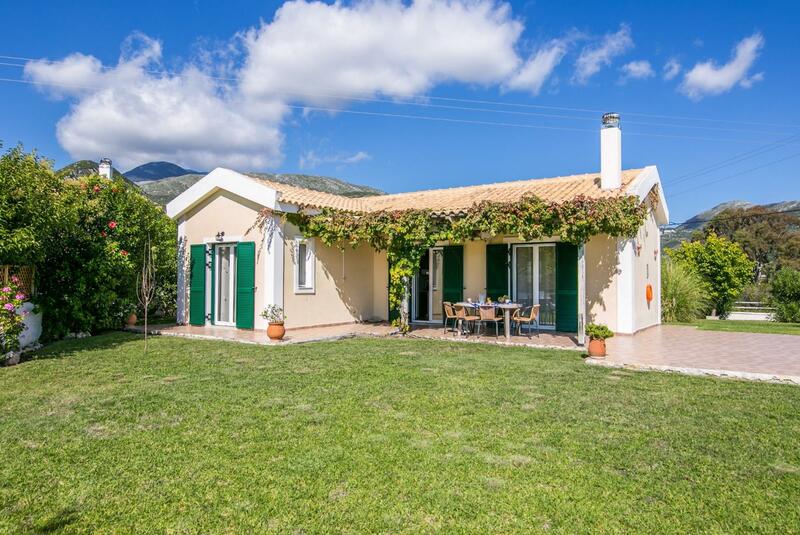 Villa Melissa can sleep up to 5 people. Second time in Villa Melissa and we will be back. Wonderful holiday in Villa Melissa, the area is beautiful and villa very comfortable. Agni themselves were excellent when there was a fire nearby and quickly arranged a move for one night to a villa in another area because of the smoke and kept us updated throughout. Well done Agni and the caretaker of Melissa who came and checked that we were ok. 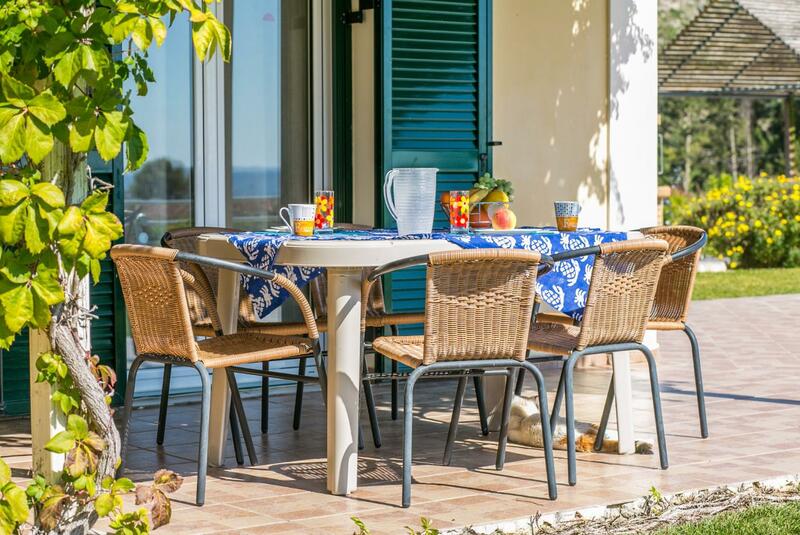 The location is perfect, walking distance to the beach and a huge array of dining options. As mentioned above, the cleaning service was exceptional. The pool was the biggest disappointment. As reported during the holiday, it was covered in wasps during the day and meant that we couldnâ€™t use it at all during the day apart from very early in the morning or from early evening. I was stung by wasps twice and my seven year old son once during the stay. In 20 years of staying on the island, Iâ€™ve never experienced this much of a problem with a pool. Was our 3rd stay at Melissa and we have booked for next year already. That says it all. 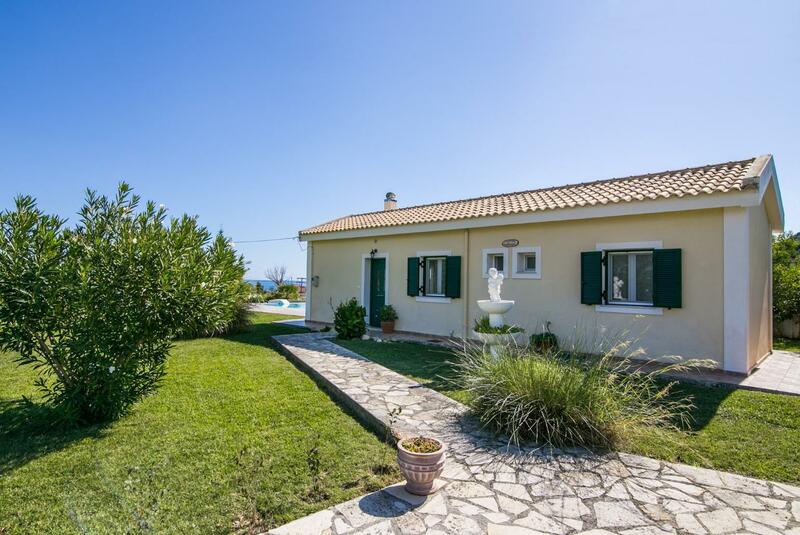 Brilliant villa so close to the beach and tavernas. 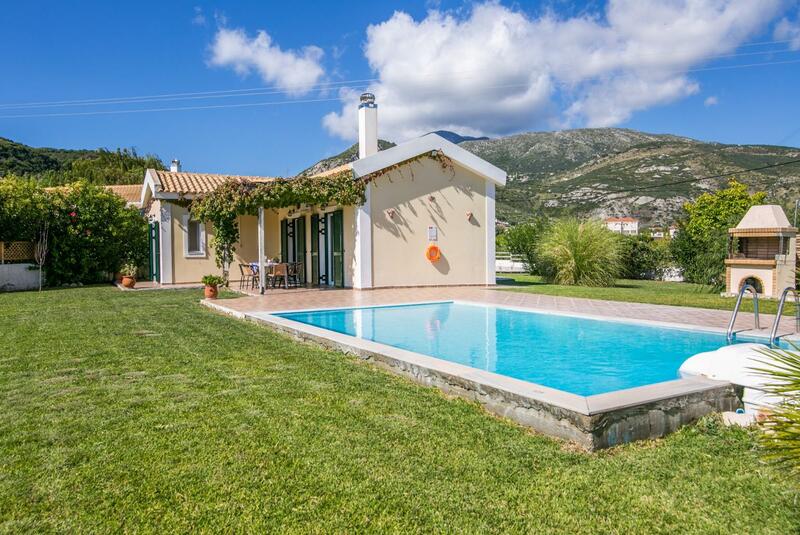 Villa has really good facilities, great pool and huge gardens. Very helpful friendly pool man and cleaner. It was a pleasure to see the pool man each morning, nothing too much trouble. As usual Agnitravel gave efficient, helpful and friendly service, also arranging transfer taxis whose drivers were extremely friendly and helpful. 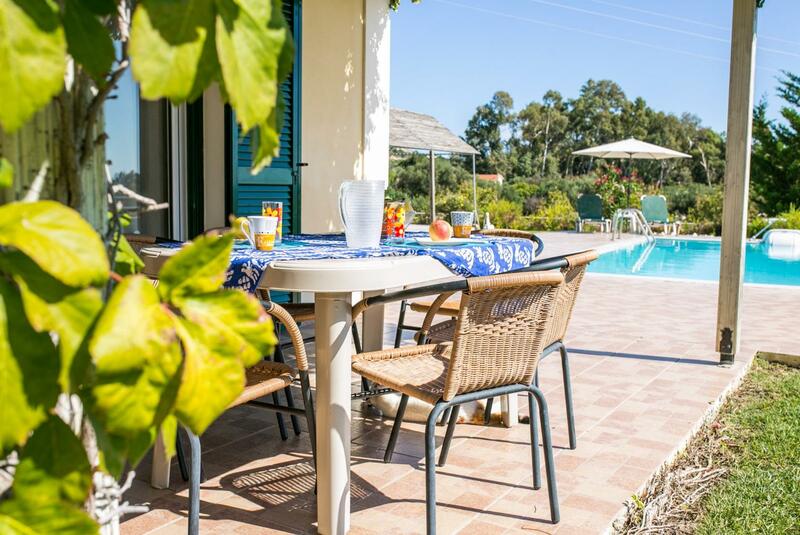 As soon as we arrived at the villa we received a text from Agni travel welcoming us and showing us we could contact them with any problems. Everything in the villa was just as described. Super holiday. Will definitely book for next year. 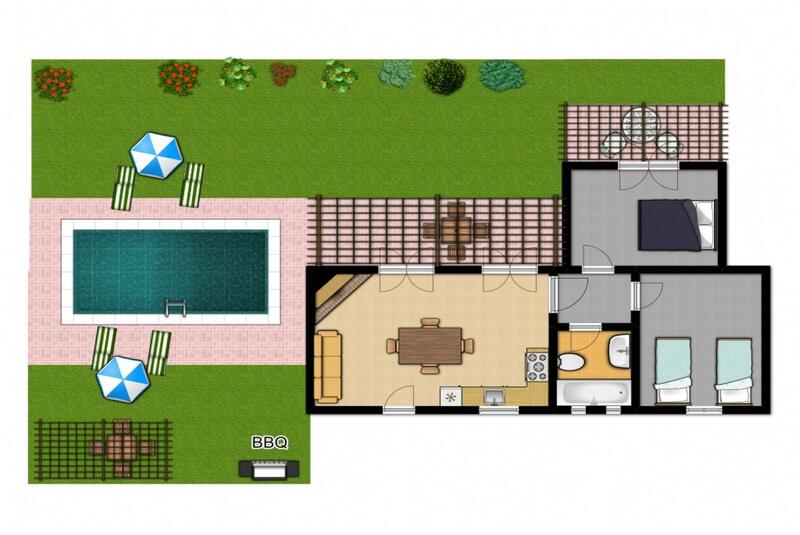 The Villa is in a good position, Handy for the village, and its bars and tavernas. 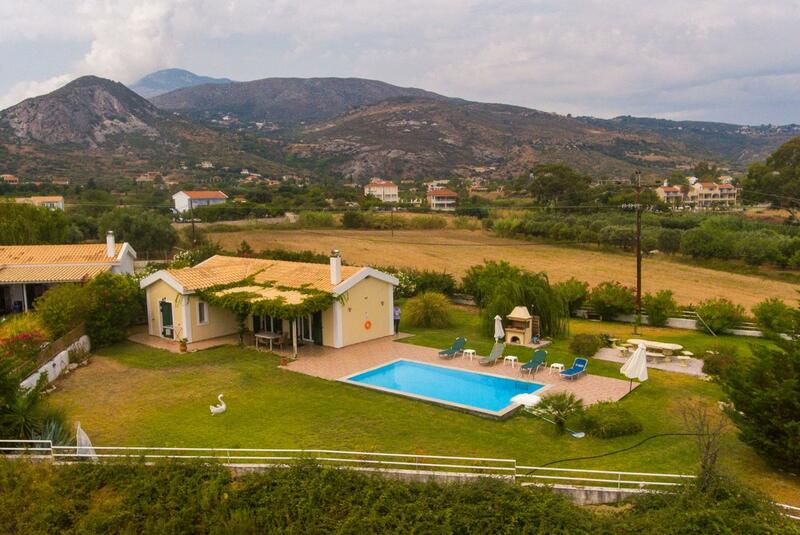 Beautiful Villa Melissa with views of the mountains, sea and beyond, Zakynthos. The location and scenery is stunning. 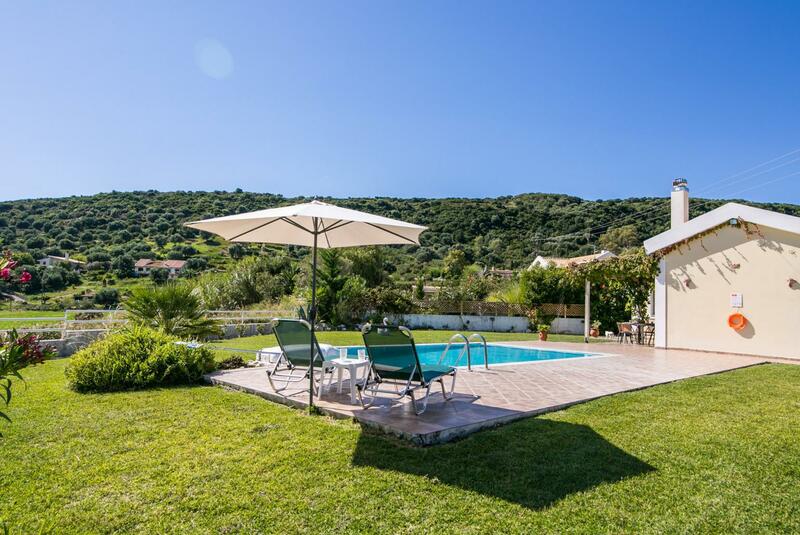 We stayed for the first time at this villa mid-May (4th time in Kefalonia) and loved every minute we were there. Beds very comfy and clean, lovely size kitchen/lounge area, washing machine, it was like home from home. 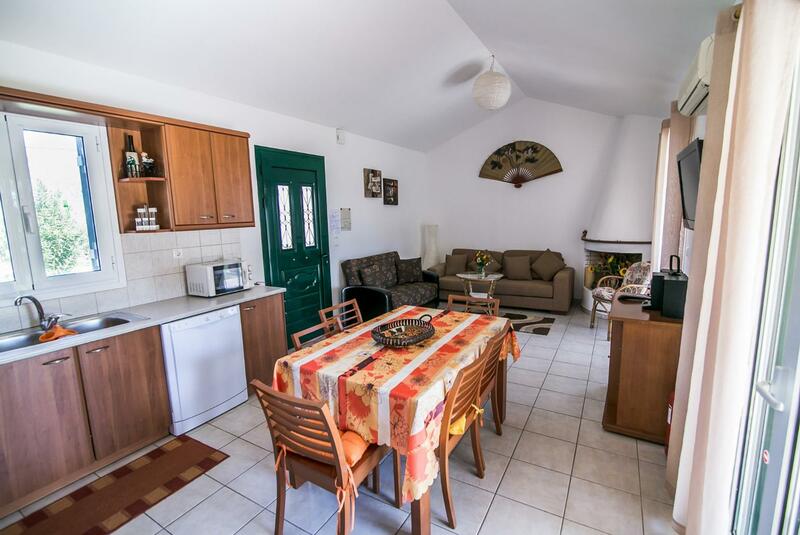 It is in walking distance of bars and restaurants and the beach, absolutely perfect. 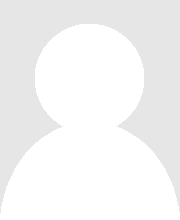 Thank you Agni travel, your admin and maintenance team proved yet again to be faultless. 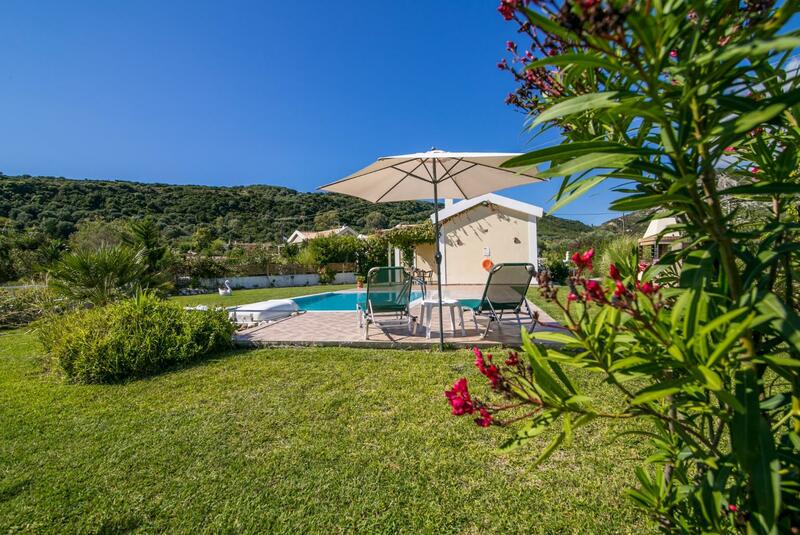 Villa Melissa is in a great position within Katelios with good views and a great garden pool area. Ninth visit to Katelios and again a great Holiday. We look forward to the next. 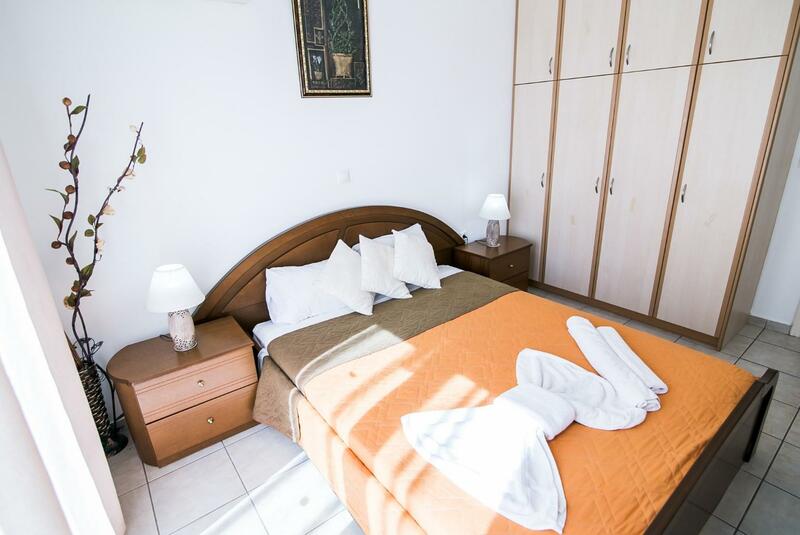 Lovely relaxing holiday we are big fans of AGNI and have recommended you to many people at home and in Greece. 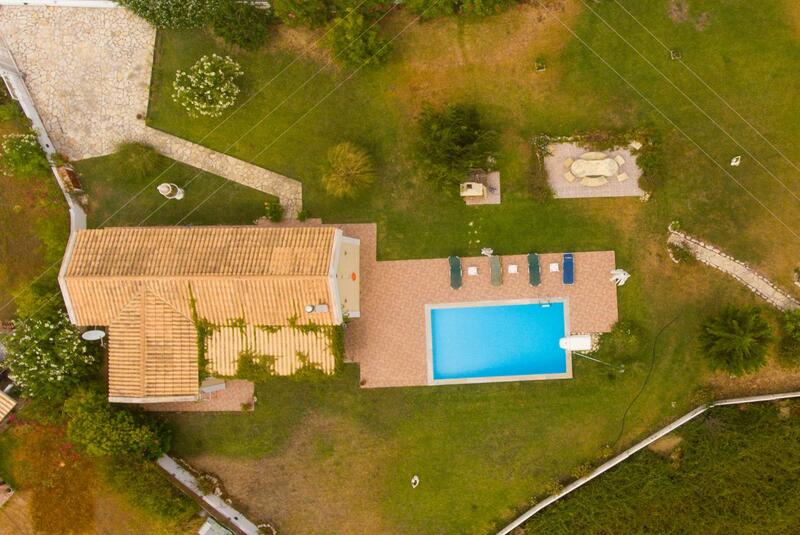 Location of the villa was perfect with a huge garden and lovely pool. Outside furniture was adequate we've had better in previous years not overly keen on plastic tables. We will definitely be back next year we love Katelios and look forward to booking with you again. Good information in the emails and easy to get the key for the property with the safe box outside. 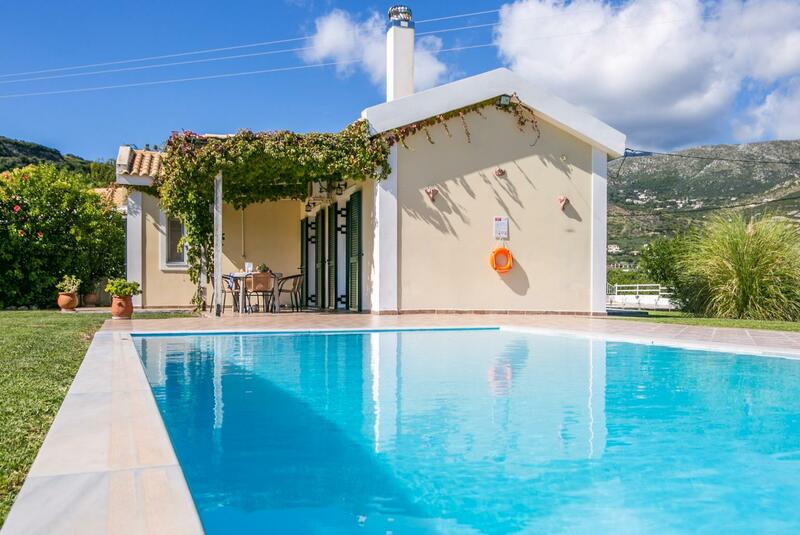 Excellent and regular cleaning of the villa and pool with helpful friendly people. 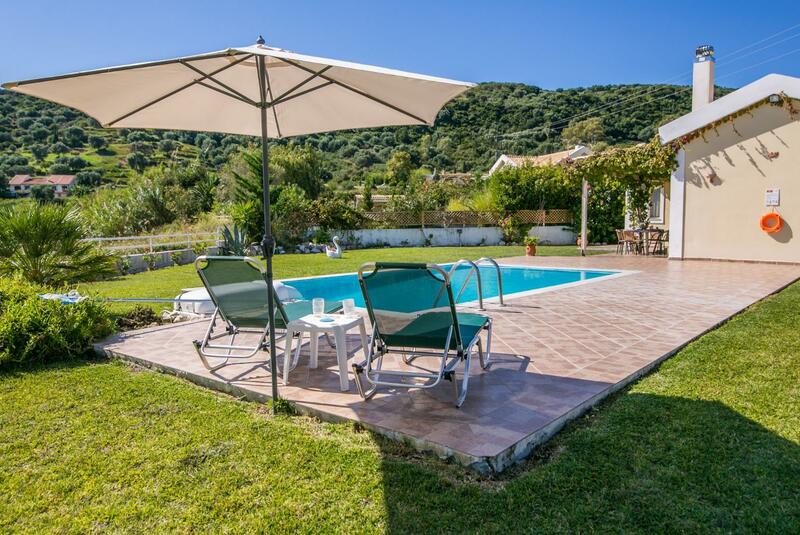 We will undoubtedly book again as we love the villa with the pool and its close proximity to the beach. 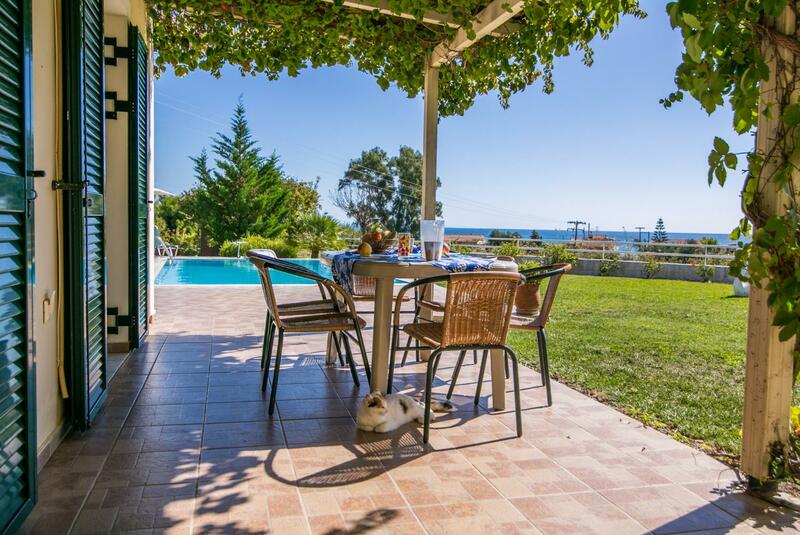 Katelios is a favourite for us and this property is ideal for our family. We cant wait to come back. 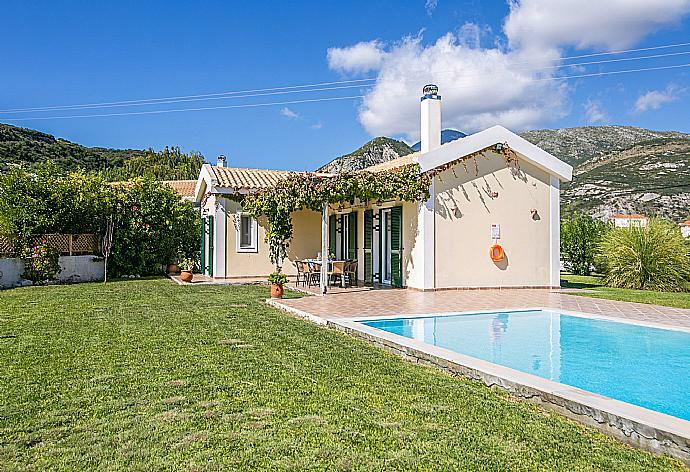 Overall a fantastic holiday in a superb property. 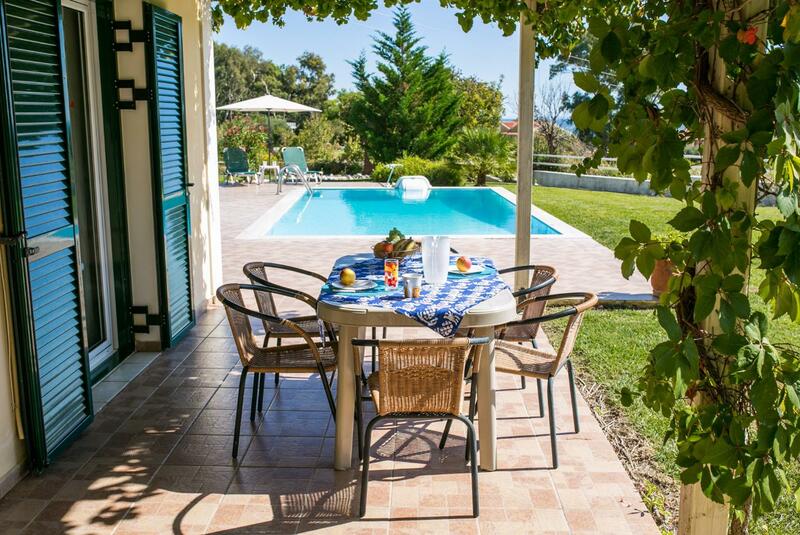 We have stayed in many properties in Katelios over the last 18 or so years and found Villa Melissa to be the best. Another excellent holiday with Agni Travel who are both helpful and professional throughout from booking to arriving and departing. 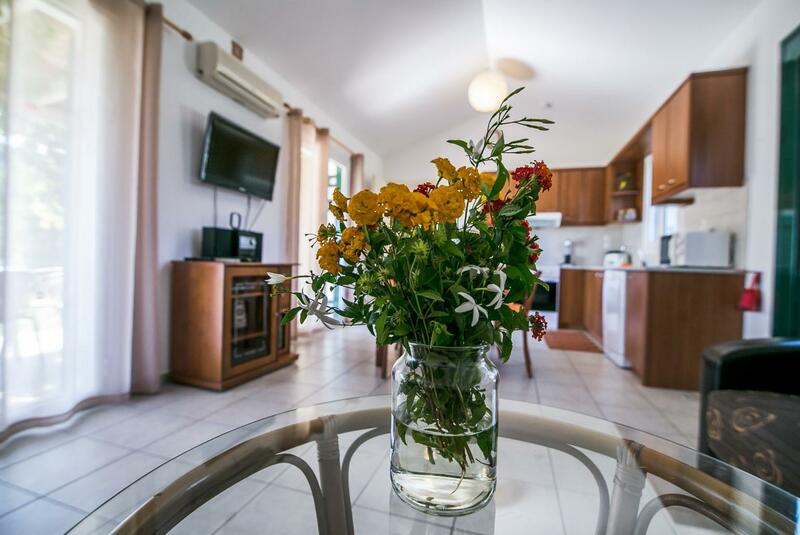 Villa Melissa is comfortable and very close to all amenities with lovely views. 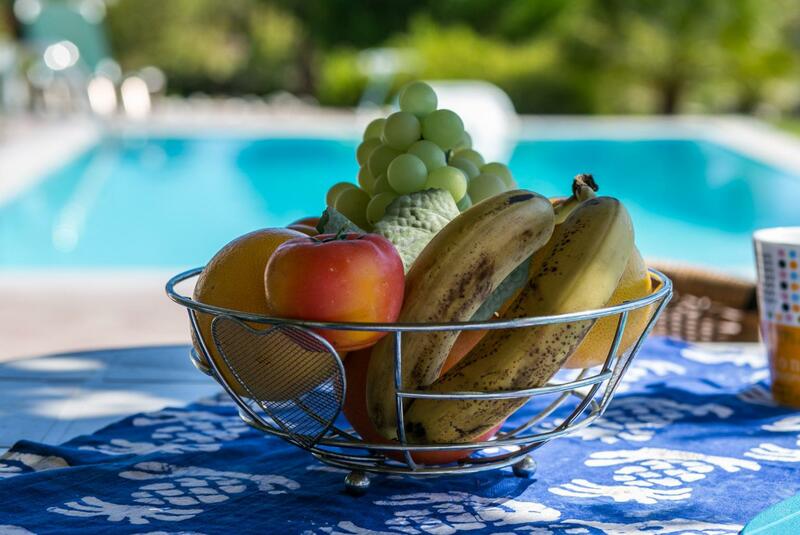 The garden area is beautiful with the pool cleaned regularly and quietly so as not to disturb the guests. The most relaxing holiday ever! This was our 2nd visit to Villa Melissa. 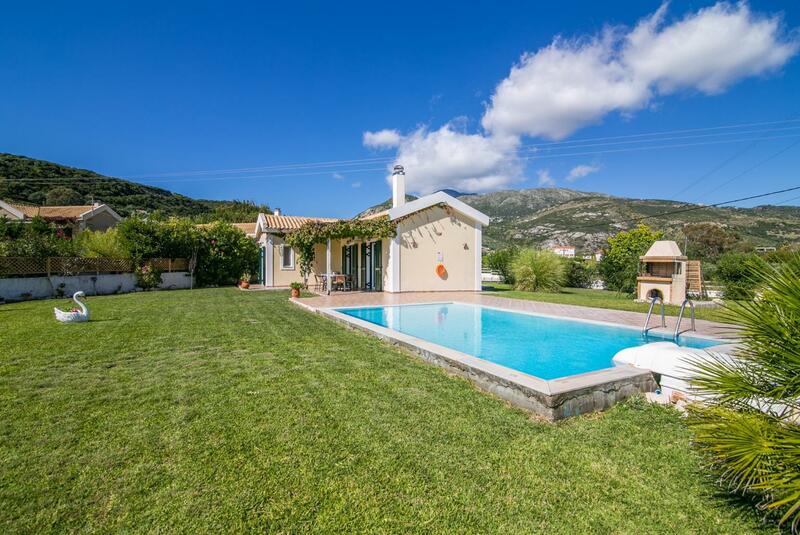 Villa is set in huge well maintained gardens with drive. 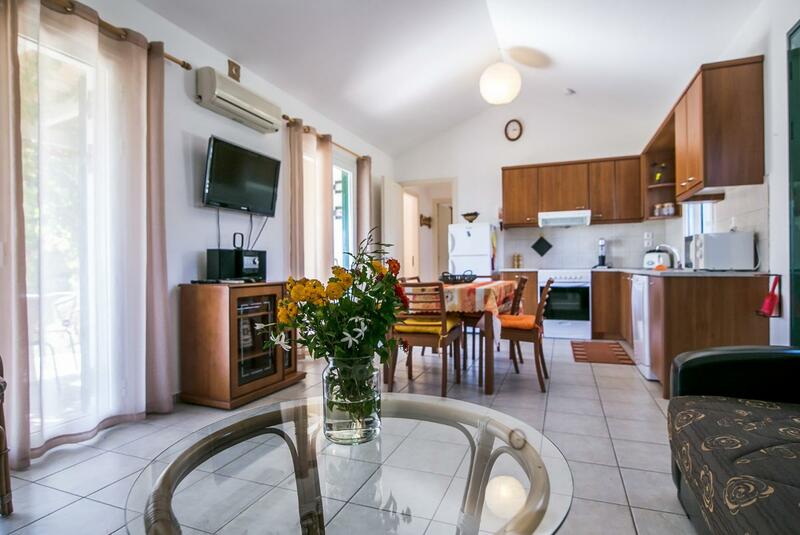 The Villa itself is clean comfortable and well equipped. 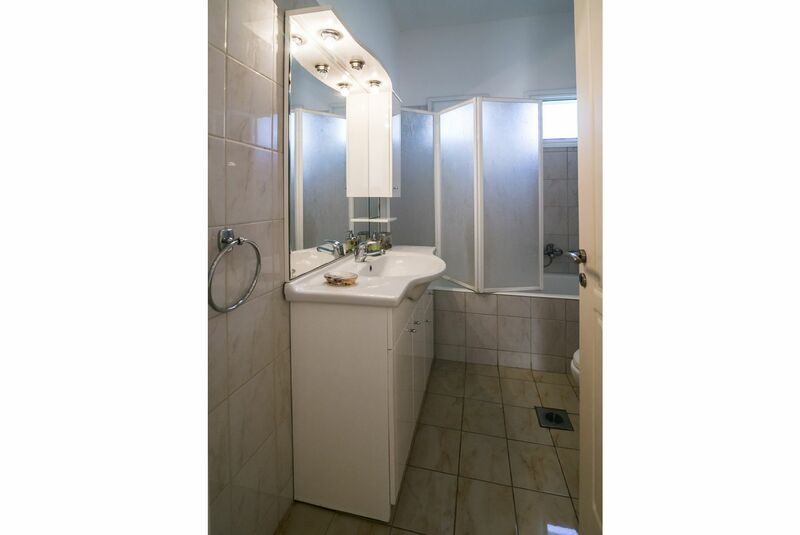 Instant hot water and good water pressure unlike some other villas we have stayed at. Also has fly screens on the windows to keep out the bugs. Pool and pool area nice and cleaned almost daily - very early. Cleaner visits at least twice a week with fresh towels bed linen etc. 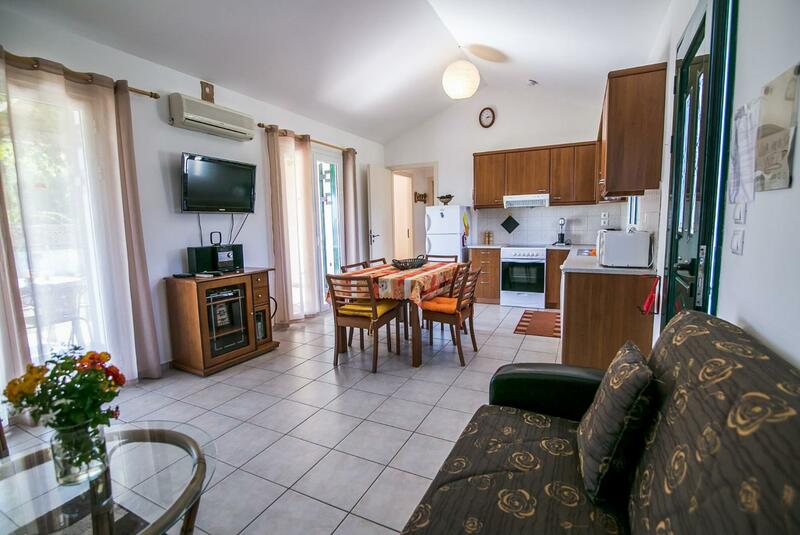 Short 5 minute walk to the Tavernas beach and mini market so ideal location. Good communication from Agni Travel and hope to return again next year. Three of us stayed in this villa and it was perfect. 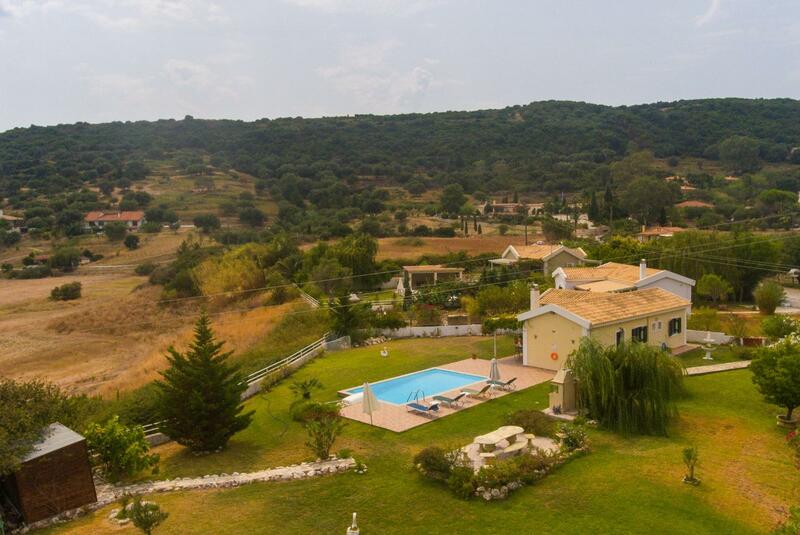 The villa was fantastic in a really great location with only a few mins walk to local bars shops restaurants and sea front. We had amazing views of the sea and mountain. The large garden was beautiful with lots of room for children to run around. Would definitely recommend to anyone. This was our 2nd visit to Villa Melissa and we have already booked for June 2016. 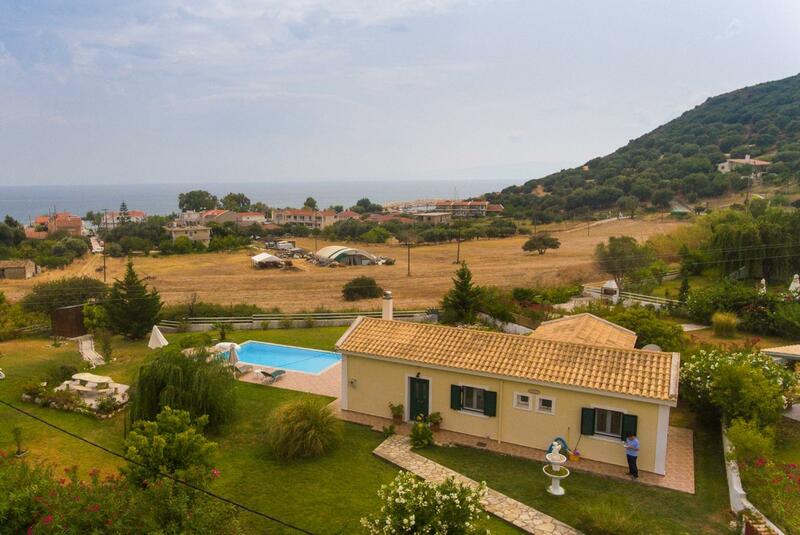 We have never hired a private property for a holiday before and booked Melissa because we saw it when we stayed in Katelios last year.It was fantastic. We loved the seclusion and peace and quiet and being able to do what we wanted when we wanted.The position of the villa couldn't be better and we thought the villa was the cutest and loveliest place and could not have asked for more.It felt like home from home and we very much hope that we will re-visit in the future. My family had a wonderful holiday. This was largely because the excellent swimming pool, wonderful weather and beach side restaurants. We played in the pool all day and then went out for dinner each evening. The people of Katelios were incredibly friendly and welcoming. 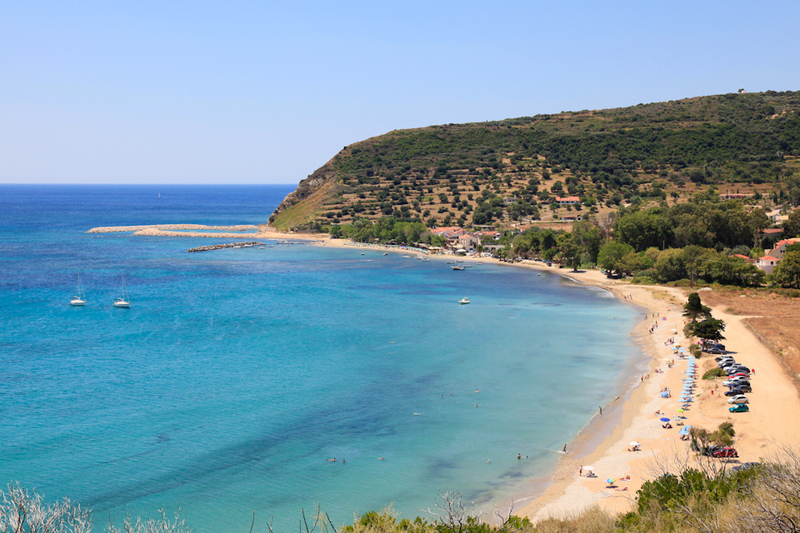 We enjoyed eating at the beach side restaurants each night and would certainly recommend Jerrys Restaurant for its friendly service and fish menu.We loved Katelios beachsea because it is so family friendly. We enjoyed our sailing and swimming trip around the south side of the island too. Overall we were pleased with Villa and the cleaning service was good. Excellent. We will be recommending Agni Travel to all friends and colleagues. Well done to all concerned. Very good holiday lovely holiday. Thank you. My elderly father and I really enjoyed our holiday and found the caretaker a very helpful and efficient person despite his lack of English and our lack of Greek!. Was lovely, Very comfy villa nice pool with pretty surroundings. 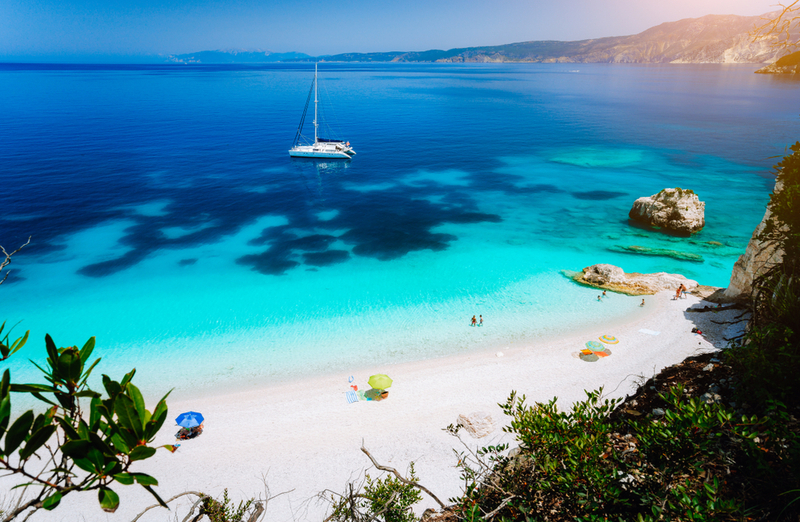 Lovely beach nearby. Beautiful setting great location for shops/restaurants/beach. We all had a lovely time and kids really enjoyed the pool.